Elite Holiday Homes offers guests a stylish, luxurious and affordable retreat. It’s a way of holidaying without compromising your comfort zone. So forget about those cramped, impersonal hotel rooms and indulge in one of our 45+ luxury holiday homes. The homes offer privacy and space, resulting in an unforgettable experience. Catering for families and groups of any size, with waterfront access and a range of bonus add-ons to suit any crowd. It’s a holiday home in vogue and it’s too good to resist. Picture yourself wining and dining by the shimmering turquoise pool at the award winning Coastal Elegance property. 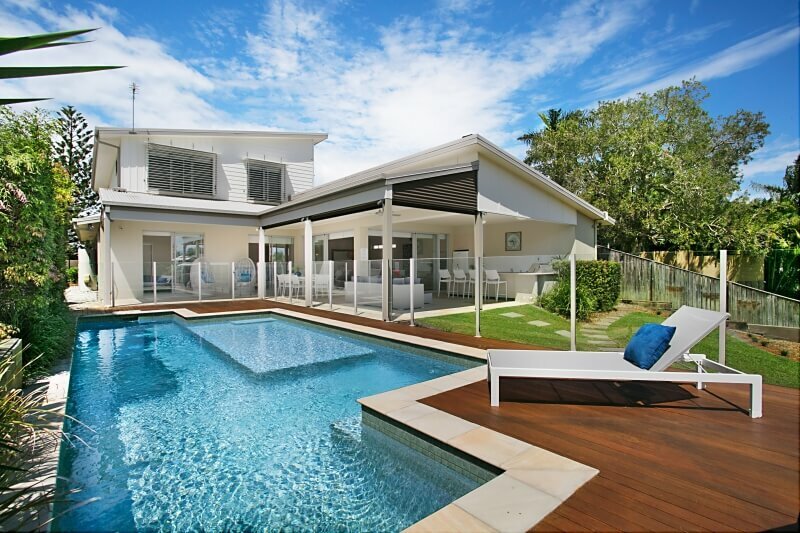 This modern, elegant home boasts a stunning outdoor entertaining area that is sure to have you indulging in breakfast, lunch and dinner outside. Perhaps booking the ultra-modern and quiet Oasis on Savoy for your next getaway sounds like your style. With sweeping hinterland views, a rooftop entertaining area and the natural connection with the water, it’s equipped with all the right ingredients to make it an unforgettable holiday. As the name suggest, our Sunset on Sheridan property is the ultimate chill out destination, complete with incredible sunset views. A fully decked out outdoor kitchen means pizza oven cook offs with your friends or family are a must. With no expense spared on the beauty and luxuriousness of these properties it’s an in vogue trip that will leave you feeling relaxed, rejuvenated and ready to book your next stay.